Harry Redknapp has revealed that Tottenham were bullied, effectively, by Manchester City when the two clubs were involved in a bidding war for Wales striker Craig Bellamy. “They blow you out of the water,” Redknapp said. “We tried to sign Bellamy and, at the time, we were after Wilson Palacios as well. “They wanted Bellamy badly. It was when Mark Hughes was there, and obviously he was close to Bellamy – the Welsh connection. They were desperate for Bellamy. We were having a bidding war on Bellamy over the fee. I find it strange that Arry would make such an admission on the eve of Tottenham’s massive game at Eastlands – winding up the opposition is rarely a shrewd thing to do. But it’s an interesting admission, and proof that City’s disproportionate spending power is worrying the rest of the Premier League. Hilarious. The lazy journos have recycled a quote that Harry gave during this time over a year ago. It’s word for word what he said then. And now the BBC is reporting that Citeh’s lawyers are looking to sue now. Classic! Let’s do the business on the pitch fellas. COYS!! 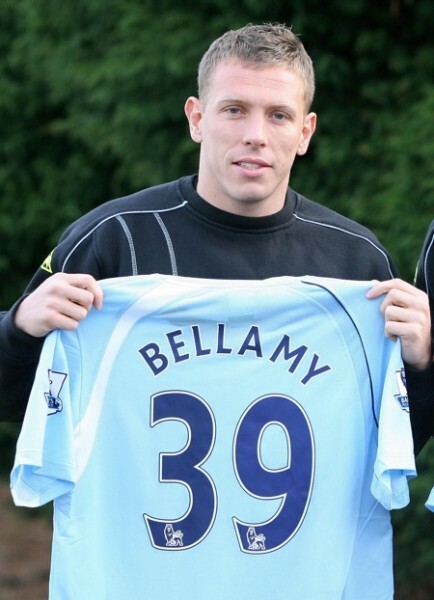 Laughable from Redknapp because he goes on to say that Bellamy would have joined City anyway and didnt want Palacios. Maybe he was too busy with his tax problems and visits from the Police to focus. Its like a bully being bullied. Points to the bigger lad saying he keeps bullying me meanwhile he keeps bullying those smaller than him. He has spent more time this season talking about City than he has his own club. The guy is more obsessed with City than yoiur average glory hunting ManUre fan. Love what Bellamy had to say by the way. You wont find City fans knocking Bellamy only fans of teams he would never sign for. Thats where City will be doing the talking. On the pitch. The well dodgy cockney is pretty used to dealing with lawyers so its familiar ground for him.